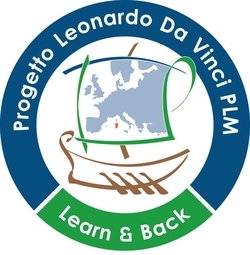 The LDV-PLM project “Learn and Back 2” aimed at bringing forward the same aim as the project started in 2012 . Learn and Back arose from an analysis of the needs for vocational training in Sardinia regarding the third sector, after the excellent feedback in terms of interest revealed by the publication of the first call (more than 200 applications for 30 vacant internship positions), we decided to enrich the proposal and the opportunities of the first version. 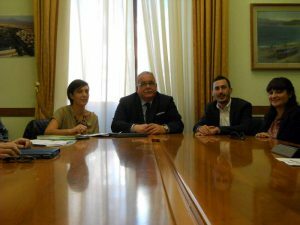 The applicant, Municipality of Olbia, once again through Mine Vaganti NGO, promoted a project with 3 Sardinian municipalities, the University of Sassari and some of the most important NGOs/companies/organizations working in the humanistic and touristic field in Northern Sardinia. We offered 47 scholarships / internships of 12 weeks in Ireland, France, Malta, Slovenia, Spain, Greece and Portugal, preferably for graduated people who were looking for a job, aged between 18 and 35 years (6 internships were reserved for people with disability and available in Spain or Malta). We kept the entire offer related to internship in NGOs (even though priority was given to the need of working with people with disabilities), social enterprises and in the European project management sector, significantly increasing the quality of foreign partnerships. We identified a lack of competences in the field of tourism in Sardinia still concerning its “social” part. Sardinia has always been synonymous with tourism and MVNGO, as designer of the project, wanted to give youngsters the opportunity to acquire new skills on a not know purview as the ST in Sardinia, which could enable the region to “resell” the third sector in a new way. Social Tourist promotes encounter and socializing moments. It consists in setting touristic activities capable of responding to a widespread need for relatedness; nevertheless it is not only directed to specific social categories of people with fewer opportunities. Social Tourism means also responding to the need for socializing: it is a way of life, It is a valuable choice by institutions. Including Social Tourism in tourism offer can bring the development of social ties, create opportunities for cultural enrichment and promotion and the exploitation of local resources. 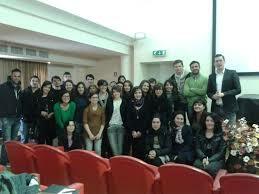 To grow capable and professional people, remained the objective of the “Learn and Back 2”. Social Tourism is often considered a second-class tourism, concentrated in the low season and typical of disadvantaged locations and depressed areas. The numbers of the flows of this type of tourism show, on the other hand, as it could represent, for those who work in the tourist, a valuable opportunity for the development and economic return. To these inner characteristics we must add technical expertise and capacity that can be developed; those skills could able placing participants on the specific market. It is also important to have volunteer/ internship experiences abroad and the knowledge of more than one language (essential for those who would like to work in the tourism sector). “Learn and Back 2” was therefore an excellent opportunity to acquire or develop these skills and be able to offer themselves to the labour market, principally that of the third sector (NGOs and social field) and the social tourism as a trained and competent professional, introducing innovation in the classical conception of tourism know-how. Mine Vaganti NGO, in cooperation with the applicant organisation Municipality of Olbia and Eurodesk Olbia Comune di Tempio Pausania, Comune di Telti, Comune di Sant’Antonio di Gallura, Comune di Oschiri, Associazione Amici Del Sorriso, Pro Loco Telti, Anemos e Asl Olbia designed and implemented the project “Learn and Back” (Leonaedo da Vinci PLM) to offers the opportunity for 30 young people living in Sardinia (18-33 years old) to spend 8 weeks of internship in 7 countries (included 3 places for young people with disabilities): Malta, Turkey, Romenia, Malta, UK, Norway, Estonia and Portugal. The hosting partners were NGOs, Social Associations, Educational Center, organizations that work with people with fewer opportunities, disabled body, disadvantage people ecc. The aim of this project was to fill up the lack of professionalism in the social sector, the management of NGOs and in the field of educational support to people with different types of physical disability. The project wanted to increase competencies of unemployed young people, improve their knowledge, form new professional figures, promote social activities and create new job opportunities for young people who want to work in Ngos, Associations or in the Third Sector in general. “Learn and Back” was designed to explore the different types of working methods in Ngos, educational centers or association specialized on disadvantage people, to share and promote inclusive strategies for disadvantage target groups, to improve their capabilities and develop new skills. The internships provided concrete tools for participants to take further action in their communities for working in the social fields and respect for minority groups. Participants had the opportunity to have better understanding about the local situation and plan projects with common vision at the international level. It is important that we translate theory and practice into reality by exchanging and sharing experiences with one another. The methodology that was used during the internship developed a better understanding about cultural diversity, tolerance, antidiscrimination; increased the capacity of young people to work as multipliers in their country; consolidated the experience that already existed and developed new ideas and practice. Working as an non-formal “educator” or as a manager in a big NGO can be an aspiration for many Sardinian youngsters who wish to combine passion for their careers, ethics and volunteering to professionalism.